Learn the Open ankle fusion:(trans-fibula approach) surgical technique with step by step instructions on OrthOracle. 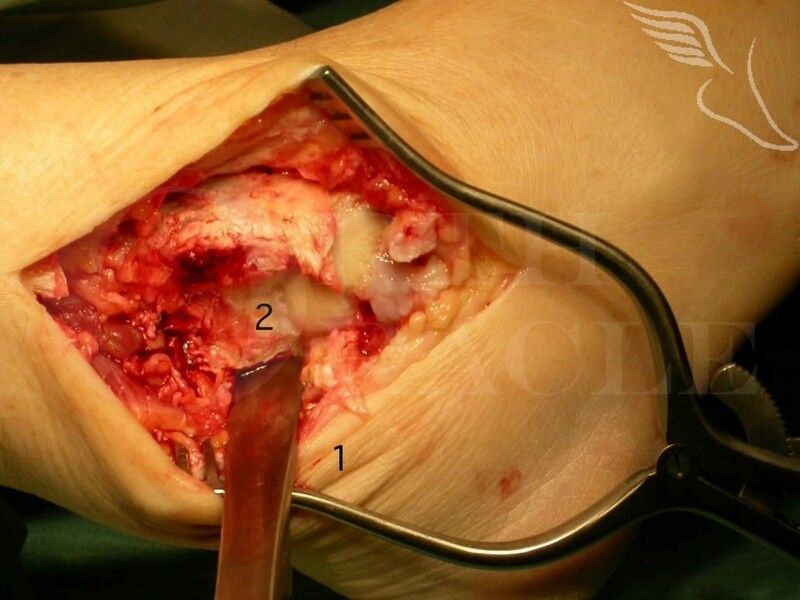 Our e-learning platform contains high resolution images and a certified CME of the Open ankle fusion:(trans-fibula approach) surgical procedure. An open ankle fusion is a relatively straight-forward operation which in appropriate patients is transformatory (both in terms of pain reduction and function). Late onset subtalar and midfoot arthritis is likely as a radiographic phenomenon but not likely to require later surgery. There are a number of different techniques described to perform the operation. Which one is chosen is less relevant than ensuring a correct and functional alignment is achieved intra-operatively and that the compensatory joints (subtalar and midfoot) are free of significant arthritic change and asymptomatic.